Exceptional event dedicated to decorative painting, Fresco, Trompe l’œil, Ornamentation, Street Art, Graining and Marbling, Gilding, Calligraphy. Renovation & Transformation brings together contractors, installers and specialist renovation companies and of course designers, consultants and other prescribers and provides them with the opportunity to gain practical knowledge and experience the latest products and techniques. We are looking forward to meeting you in hall 7, stand E094. American Institute for Conservation of historic and Artistic Works. AIC's 47th Annual Meeting. "New Tools, Techniques, and Tactics in Conservation and Collection Care". 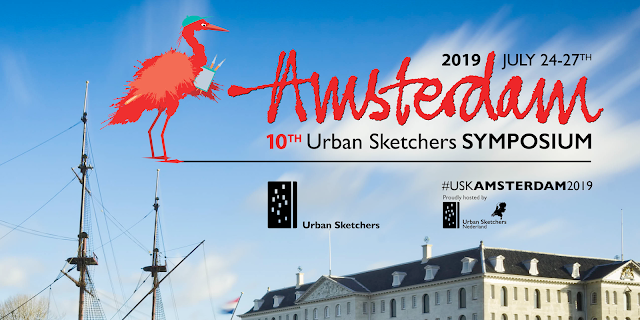 The International Urban Sketching Symposium is an annual educational event organized by Urban Sketchers (USk), a nonprofit dedicated to fostering the practice of on-location observational sketching. The goal of the Symposium is to celebrate and practice the art of on-location sketching in the host city. The event offers valuable field-sketching instruction and opportunities for participants to network and socialize. Following our spirit of “sharing the world, one drawing at a time,” we aim to bring the Symposium to new cities and countries every year. Restoration, Museums and Cultural Business Trade Show, the most important international event dealing with Economy, Conservation, Industry, Technology, Promotion of Cultural and Environmental Heritage. International fair for handmade musical instruments. International trade fair for Cultural Heritage and Preservation of Monuments. Europe's Leading Trade Fair For Conservation, Restoration And Old Building Renovation.